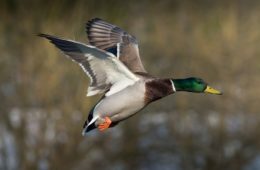 January 29, 2017, marked 80 years since Ducks Unlimited (DU) was formally incorporated. DU focuses on the following conservation tactics: restoring grasslands, replanting forests, restoring watersheds, working with landowners, working with partners, acquiring land, conservation easements, management agreements, and Geographic Information Systems. I became a member of this organization last April and attended my local banquet. I had heard about them several years before for their work on Capitol Hill. DU, like many other true conservation groups out there, promote truly sustainable policies that benefit both wildlife and humans. Happy 80 years, DU! Keep up the great work.